Protester and counter-protesters confront each other in the thiddle of downtown Wheeling ahead of doors opening for the rally. 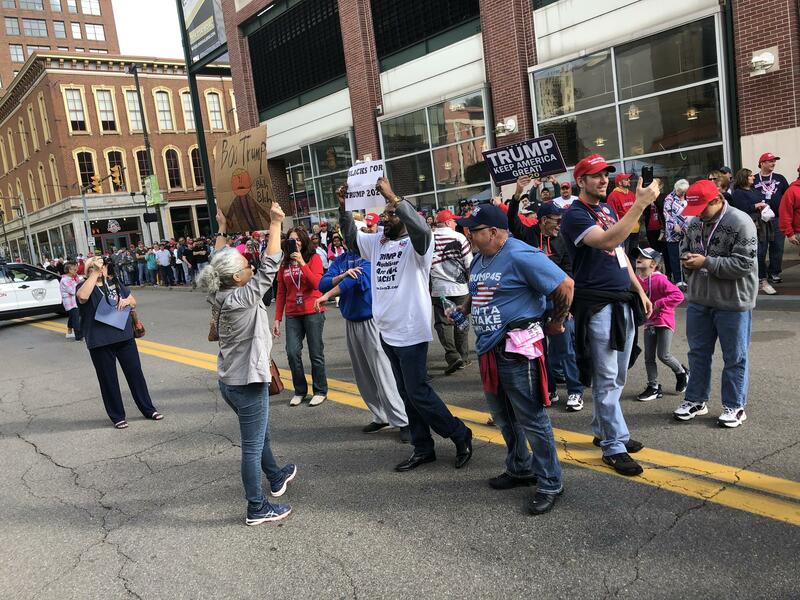 Thousands of people lined the streets of Wheeling, West Virginia, this weekend, waiting in line before doors opened for a rally President Donald Trump held to boost Republican midterm election candidates. More than 7,000 people came out for Trump’s 7th seventh presidential visit to WV. Crowds were mostly peaceful and seemed excited to support the president. Holly Griffin, just 10 years old, was at the front of the line with her mother. They came from Georgia. It was Holly’s 16th Trump rally and her mom’s 21st. 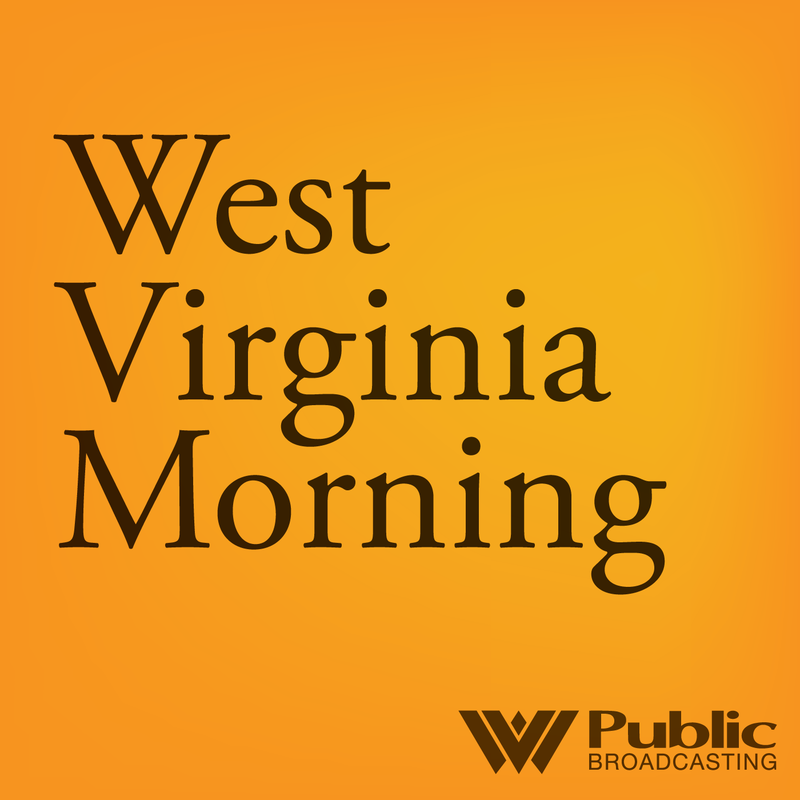 Trump was in the Mountain State to support for GOP candidates including, Patrick Morrisey, who hopes to unseat long-time Democratic incumbent Joe Manchin. Jamye Dixon of Wellsburg, West Virginia, believes Manchin’s best hope for holding onto his seat is to vote to confirm Trump’s Supreme Court nominee, Brett Kavanaugh. Still, not everyone in line was as convinced about Kavanaugh. 28-year-old Neseride came in from Washington, D.C. Originally from the Cameroon, Neseride has been an ardent Trump supporter. “Nobel! [Trump’s] gonna get a Nobel Prize!” she chanted in front of a crowd of about 20 protesters holding anti-Trump administrations slogans. But she was less certain about Brett Kavanaugh for the Supreme Court. She said it was hard to know who to believe, but that she was disappointed in Kavanaugh’s emotional testimony. President Trump continued to plug Kavanaugh during his speech. He also spent a lot of time applauding improved economic conditions. But some protesters came to implore Trump to keep some of his economic campaign promises. Tommy Wolikow, a 36-year-old laid-off worker from General Motors, came in from Youngstown, Ohio. He voted for Trump and says the president promised to bring jobs back to his region. “I’ve never seen it this bad,” Wolikow said of the economy in his region. Wolikow says he voted for Trump based on promises made to restore economic conditions. Wolikow is part of a group of protesters following Trump at various campaign events. The last day to register to vote in the midterm election is October 16. The election will be held November 6th.